…or Twelve (12) Shades of Jollof Rice. 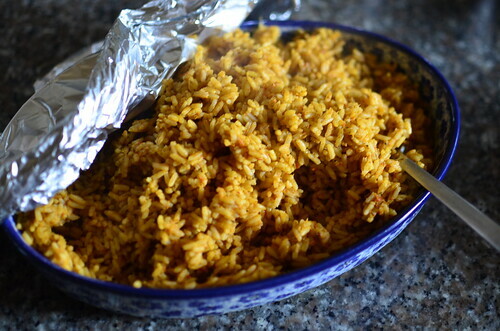 Jollof rice in the simplest terms is a beacon for West African cuisine. Texturally, it’s half way between the separate, not mushy grains of a pilaf and the ‘sauced’ creaminess of a risotto. Chock full of smoky flavours, commonly cooked over open fire. However, this can also be achieved on the stove top by ‘controlled’ burning of the rice. The key here is to cook the rice in a vessel that allows burning, preferably stainless steel, aluminium or cast iron as opposed to non-stick. 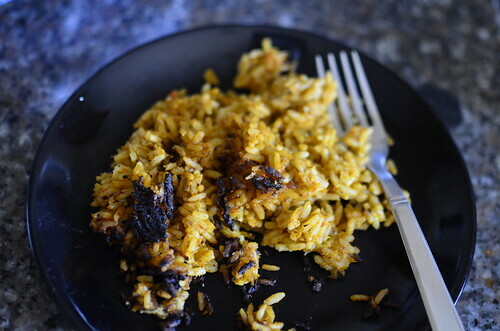 My home version features flecks of burnt rice – proof of ‘authenticity’. I first learnt to make this recipe on a cold winter’s day in New York. My sister-in-law tossed par-boiled Carolina rice with stock and cooked tomato sauce in a foil dish. And off it went into the oven to bake. I like the ease of the recipe and the fact that you can free your stovetop if you have an event to prep for and also make large quantities. It doesn’t taste different and you can develop smoky flavours though that takes some time. 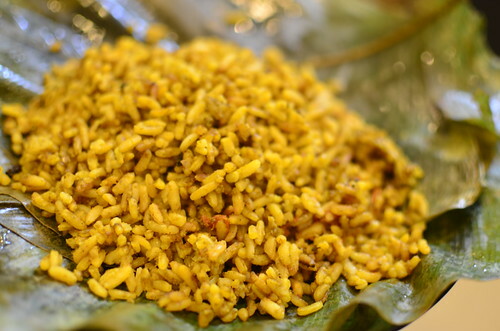 Stick Rice is. And I will tell. 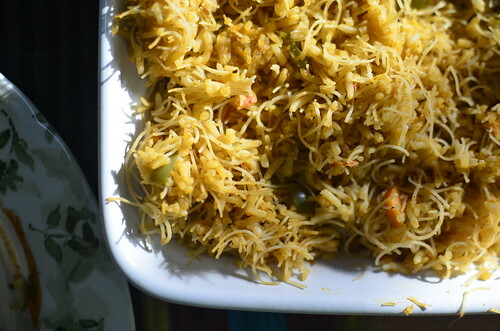 It’s a combination of long-grained rice and vermicelli noodles, which can be ‘fried’ or jollofed. Bear with me. Take my friends TJ and FW. My friends from when I was but a girl. And care-free. When I had short hair and was ‘cute’, some might even say. Friends I have to thanks for this Stick Rice recipe. A recipe that I’ve been obsessed with for upwards of fifteen years since I first tasted it at theirs in London, way back when…. So this is what you ought to imagine. Student me, living in a house with 15 other people in the heart of Liverpool. Not loving football or any such thing. Me. Homesick, longing for family and friends…and me heading to London to see my BFFs for the weekend. And it was that FW’s big sister, T had made a pot of Stick Rice. Which I am proud to say I worked my way through that weekend. Without shame. Without shame. Yes, without shame. A tribute to my first time in Ghana, this version features sweet Thai Jasmine rice cooked a la Chinese Fried Rice – except stir-fried in tomato sauce instead of soy sauce. A local Efik version made with palm oil and greens – scent leaves. 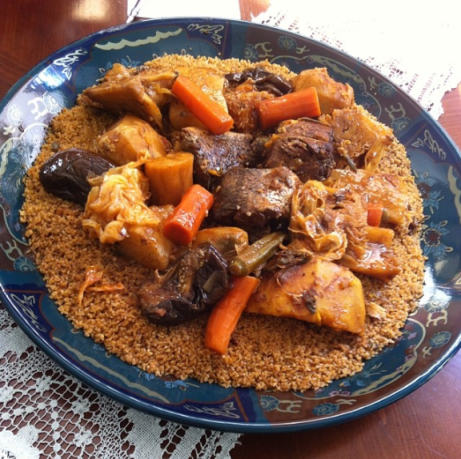 Known as Iresi Elepo in Yoruba, it’s the stuff village grandmas would cook in many parts of Nigeria. Rich with umami from dried seafood, this is ‘local pot’ at its best. 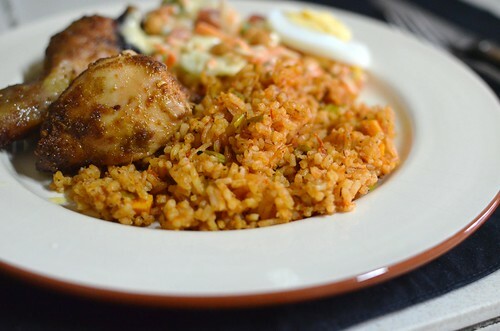 Banga Jollof is made with palm nut sauce as opposed to palm oil. Rich with flavour, this version has subtle a lemon glass flavour running through it and dried prawns. 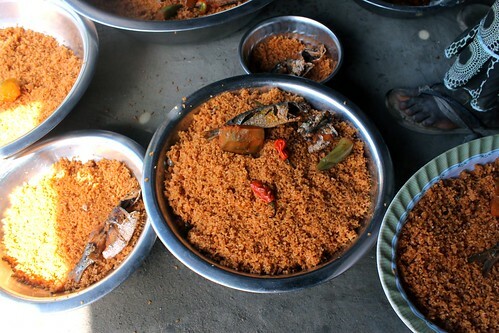 This is from the birthplace of Jollof – the national dish. 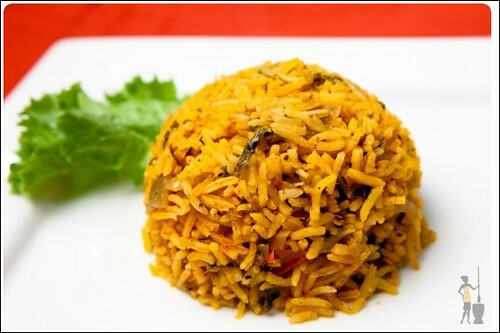 Orange rice, piled high with seafood and vegetables – from potatoes to cassava, pumpkin and plantains. This dish is a Louisiana creation: of creole cooking with French and Spanish influences. 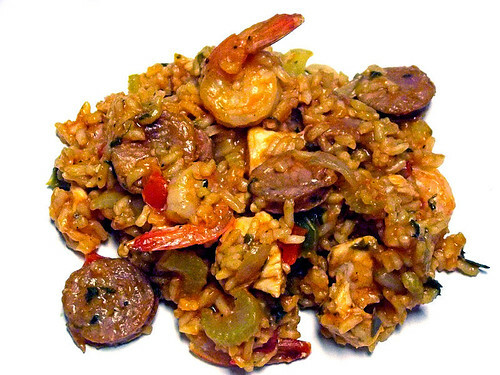 One of a number of variations on the recipe, red Jambalaya is full of meat, chicken, seafood, andouille sausage and tomatoes. This classic Mexican rice is made with tomatoes (and sometimes tomato paste), chilies and often garnished with cilantro. I first discovered this when we lived in the Netherlands and Paola and my Mexican friend rustled it up. All the connections between countries and cuisines and friendships came to the fore and developed a deeper love for Mexican cuisine. 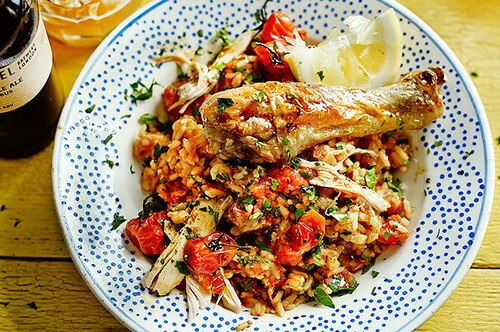 Finally, I end with Jamie Oliver’s take on ‘Ghanian Jollof Rice‘. Which is more of a rice medley. So there you have it, around the world in a matter of dishes. 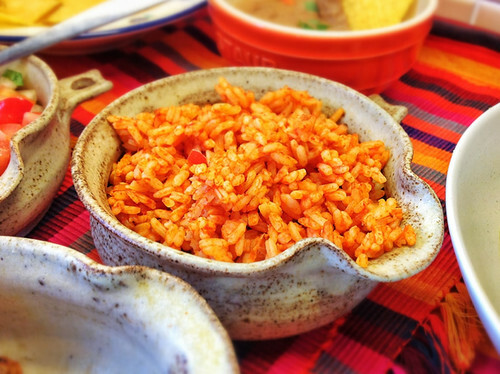 Are you familiar with other ‘red rice’ recipes? Pray, tell.